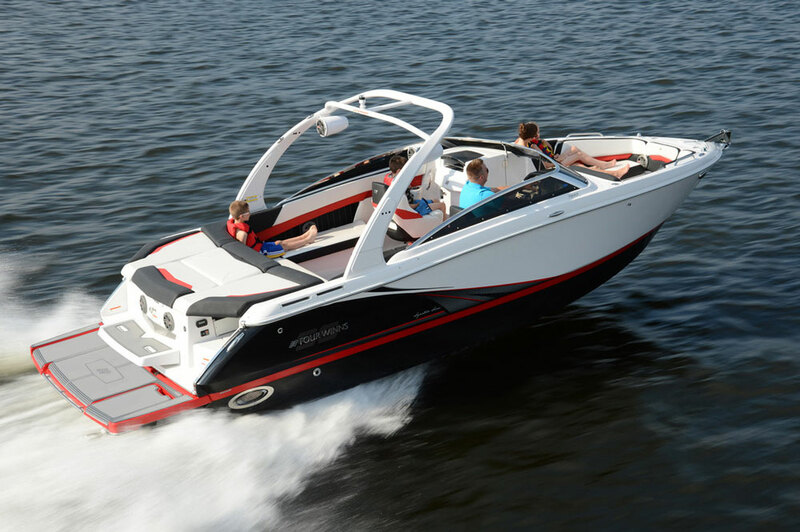 Four Winns Horizon H260 SS is one of the best sterndrive runabouts we’ve seen this year. 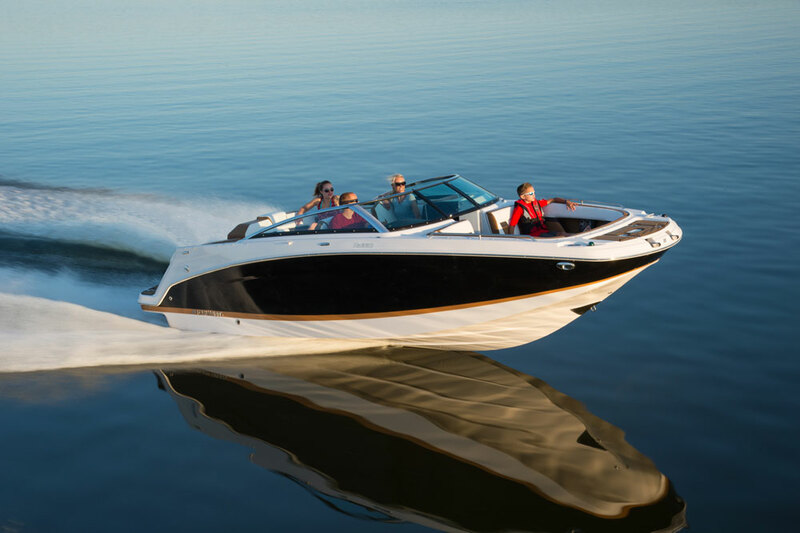 Four Winns was the only builder to have two different boats make our list of Top 10 Runabouts of 2016, and although the Horizon H260 SS wasn’t on that elite list, it’s still one of the top-tier sterndrive runabouts we’ve seen lately. Plus, it’s the kind of boat you can buy without having to check any options boxes. The Four Winns Horizon H260 SS (Signature Series) is differentiated from the standard Horizon series by splashier colors and sportier styling. For example, the H260 SS comes with a 300-horsepower 6.2 liter MerCruiser V8 and a Bravo Three drive, which is plenty of power. The boat also comes with a trailer. It’s not just any trailer, Four Winns builds its own trailers, so they cradle each boat like a mother holds her child. Bunks align with the stringers inside the hull for strength. What’s more, Four Winns trailers are fully-welded and built using 11-gauge closed-box tube steel. We’re not talking about C channels and clamps, here. It’s a first rate trailer, which also comes with a fold-away tongue to minimize storage space and help prevent theft. You also get standard snap-in carpeting, a Bimini top, and an enclosed head compartment. 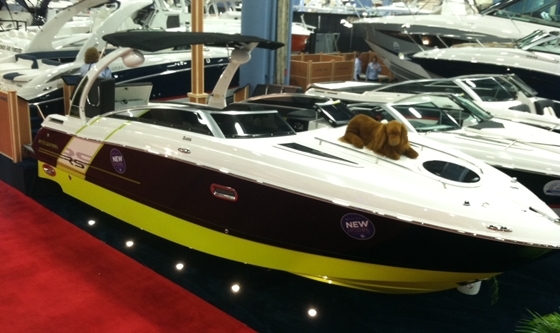 The boat is so complete in standard trim, you could leave the dealership and head to the lake. Let’s look at what’s inside. For starters, the 260 SS provides easy access to the water via its walk-through to the swim platform. The platform itself is treated with SeaDek foam and is fitted with a ladder offset to the starboard side. 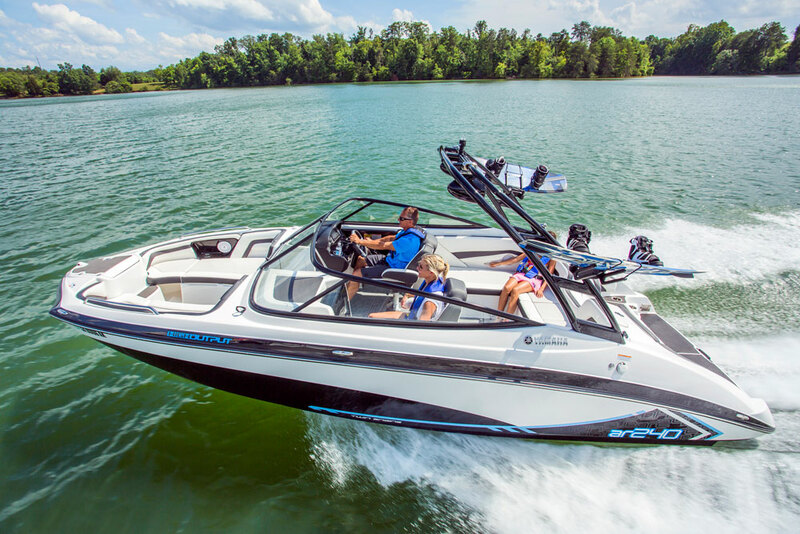 There’s a handy step for strapping on a ski or wakeboard and even speakers so you can listen to the stereo while you’re swimming behind the boat. Up front the bow area is spacious and accommodating, with deep lounges, grab rails atop the gunwales, and a built-in step up to the fully-featured anchor locker. In the cockpit, the H260 SS is fitted with two swivel buckets with flip-up bolsters, an L-shape lounge to port, and a jump seat to starboard. You can get an optional dinette table, which mounts to the aft seat base and prevents stubbed toes that come from deck-mounted tables. For the driver the helm is a treat, with a clean, simple layout. The gauges are arranged to accommodate a Raymarine 177 display, but it’s a $1,731 option (base MSRP is in the $90,000 neighborhood) that many day-boaters won’t need. The stereo controls are arranged to the left of the wheel so it’s easy for passengers to access, too. 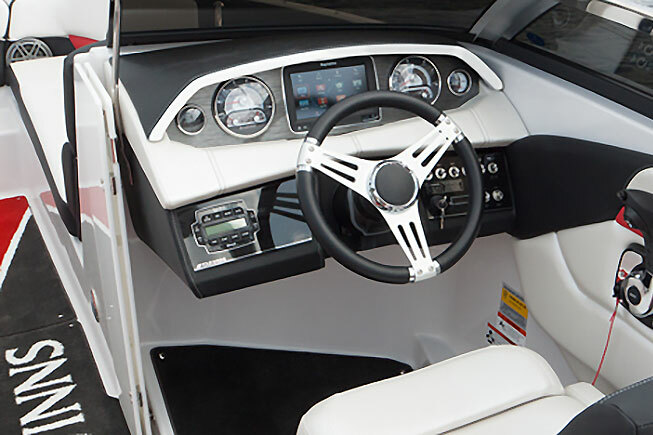 The helm is laid out for flush-mounted electronics, which isn’t always the case on bowriders and runabouts. The cockpit also includes a head compartment, which comes with a portable MSD. It’s fitted with a port hole to let in natural light and fresh air—which could be important some day. Big runabouts rock, and Four Winns has proven to be accomplished at building them. The H260 SS is just one more example of what a longtime runabout builder can do with a generous platform offered in a fully outfitted form. 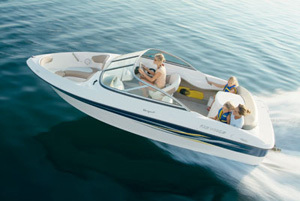 Other Choices: A stiff competitor will be the Sea Ray 250 SLX. 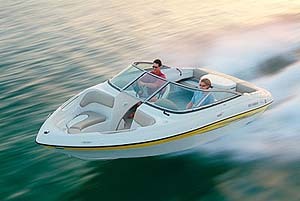 Those looking for a similar but sportier ride will want to see the Formula 260 Bowrider. See current Four Winns Horizon H260 and H260 SS listings.